The UART on the Pi One uses the GND, TX and RX connections which are next to the Ethernet jack. Plug the corresponding cables from a 3.3V UART cable onto these pins and then into a USB port on your machine. Your device will probably be /dev/ttyUSB0, but you can check this with dmesg just after plugging it in. Now we can simply use screen to connect to the UART, but you’ll have to be in the dialout group. Note that you won’t see anything just yet without an SD card that has a working bootloader. We’ll get to that shortly! First things first, get yourself an SD card. While U-Boot itself is embedded in the card and doesn’t need it to be partitioned, it will be required later to read the boot files. U-Boot needs the card to have an msdos partition table with a small boot partition (ext now supported) that starts at 1MB. You can use the rest of the card for the root file system (but we’ll boot an initramfs, so it’s not needed). Assuming your card is at /dev/sdx (replace as necessary, check dmesg after plugging it in if you’re not sure). Now we can format the partitions (upstream U-Boot supports ext3 on the boot partition). Leave your SD card plugged in, we will need to write the bootloader to it soon! Install the arm build toolchain dependencies. We need to clone upstream U-Boot Git tree. Note that I’m checking out the release directly (-b v2016.09.01) but you could leave this off to get master, or change it to a different tag if you want. There is a defconfig already for this board, so simply make this and build the bootloader binary. Write the bootloader to the SD card (replace /dev/sdx, like before). Wait until your device has stopped writing (if you have an LED you can see this) or run sync command before ejecting. Now we can remove the SD card and plug it into the powered off Orange Pi One to see if our bootloader build was successful. Switch back to your terminal that’s running screen and then power up the Orange Pi One. Note that the device will try to netboot by default, so you’ll need to hit the enter key when you see a line that says the following. Note that if you don’t see anything, swap the RX and TX pins on the UART and try again. With any luck you will then get to a U-Boot prompt where we can check the build by running the version command. It should have the U-Boot version we checked out from Git and today’s build date! Hurrah! If that didn’t work for you, repeat the build and writing steps above. You must have a working bootloader before you can get a kernel to work. If that worked, power off your device and re-insert the SD card into your computer and mount it at /mnt. Of course, a kernel won’t be much good without some userspace. Let’s use Fedora’s static busybox package to build a simple initramfs that we can boot on the Orange Pi One. I have a script that makes this easy, you can grab it from GitHub. Ensure your SD card is plugged into your computer and mounted at /mnt, then we can copy the file on! This will create an initramfs for us in your custom-initramfs directory, called initramfs-arm.cpio.gz. We’re not done yet, though, we need to convert this to the format supported by U-Boot (we’ll write it directly to the SD card). Now we have a simple initramfs ready to go. 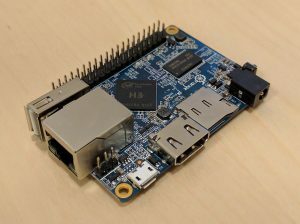 The Ethernet driver has been submitted to the arm-linux mailing list (it’s up to its 4th iteration) and will hopefully land in 4.10 (it’s too late for 4.9 with RC1 already out). Clone the mainline Linux tree (this will take a while). Note that I’m getting the latest tagged release by default (-b v4.9-rc1) but you could leave this off or change it to some other tag if you want. Or, if you want to try linux-stable, clone this repo instead. Now go into the linux directory. If you don’t need the onboard Ethernet, you can skip this step. We can get the patches from the Linux kernel’s Patchwork instance, just make sure you’re in the directory for your Linux Git repository. Note that these will probably only apply cleanly on top of mainline v4.9 Linux tree, not stable v4.8. We will apply these patches (you could also use git apply, or grab the mbox if you want and use git am). Hopefully that will apply cleanly. Now we are ready to build our kernel! 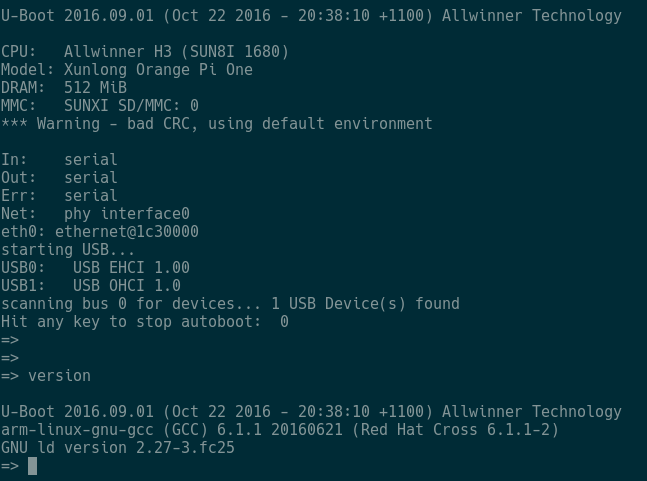 Load the default kernel config for the sunxi boards. If you want, you could modify the kernel config here, for example remove support for other AllWinner SOCs. Build the kernel image and device tree blob. Mount the boot partition and copy on the kernel and device tree file. Next we need to make a bootloader file, boot.cmd, which tells U-Boot what to load and boot (the kernel, device tree and initramfs). The bootargs line says to output the console to serial and to boot from the ramdisk. Variables are used for the memory locations of the kernel, dtb and initramfs. Note that the root device is /dev/root which is required for the initramfs. Compile the bootloader file and output it directly to the SD card at /mnt. Now, unmount your SD card. Insert it into the Orange Pi One and turn it on! Hopefully you’ll see it booting the kernel on your screen terminal window. You should be greeted by a login prompt. Log in with root (no password). That’s it! 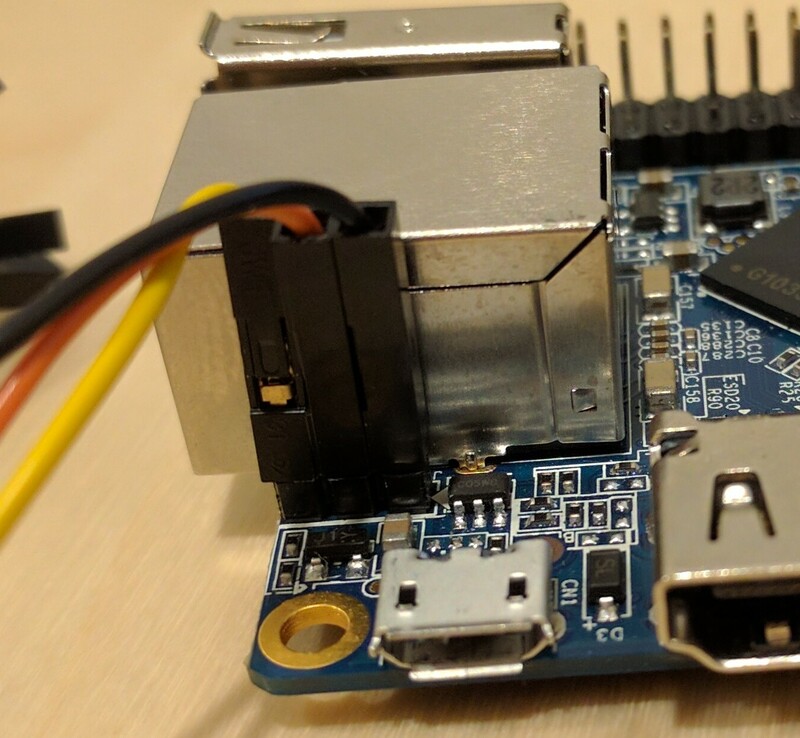 You’ve built your own Linux system for the Orange Pi One! Log in as root and give the Ethernet device (eth0) an IP address on your network. Now test it with a tool, like ping, and see if your network is working. Thanks, yeah, I did mention in the introduction that Fedora’s Orange Pi PC or Lite images will work. I didn’t know nightly had support for the One, I’ll have to check that out. I didn’t see the EMAC drivers land in 4.8.3, is that a backport? 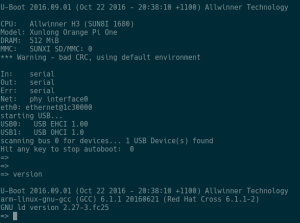 Can I net boot Ubuntu or other linux using iso files on Orange-PI-PC? Yes, as far as I know, U-Boot supports PXE however I’ve never done it, sorry. Hey , how did you find the links for all the patches ? Hello, how to enable HDMI port? Sorry, I can’t recall now. If I play with this again soon I’ll have a look. could you please printenv u-boot setting ?